Daddy will be proud to display this glass ornament, complete with engraving that reads his little stars name! 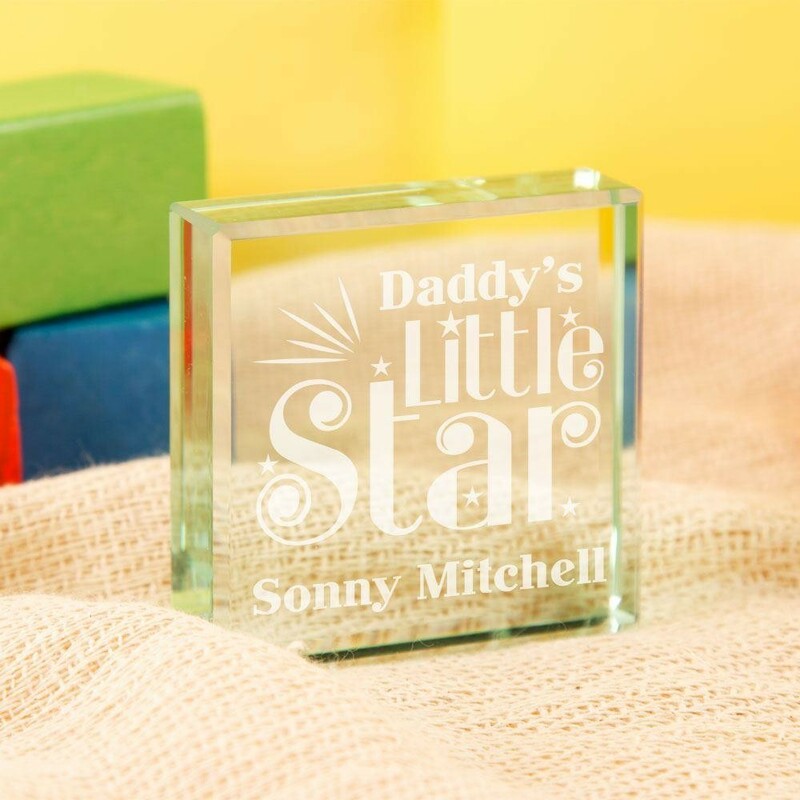 The jade tinted decorative block shows a modern, classy design which reads “Daddy's Little Star” followed by the child's name. Beams shine off the text and twinkling stars surround it. 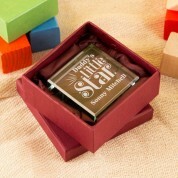 It makes the perfect gift on the arrival of a newborn, a birthday or at Christmas time. Because of its timeless design, it can be displayed for years to come. It will suit any nursery or bedroom décor, and when its not in display it can be tucked away in its classy silk lined maroon box.